Proponents of social equality attribute low life satisfaction to income inequality in society, an inequality which occurs when most people have relatively low income and only a few have high income. In contrast, range-frequency theory and other social comparison theories predict that when most people have low income, they are satisfied because of the absence of relative deprivation among themselves. This prediction essentially suggests that that the size of the group of individuals with comparable income (i.e., income parity) sustains their life satisfaction. This theoretical prediction, however, does not consider their desire to be distinctive. By incorporating the notion of optimal distinctiveness, the size of income parity may have a quadratic effect on the individual’s life satisfaction. This is a hypothesis that receives support from the present study in Hong Kong, China. 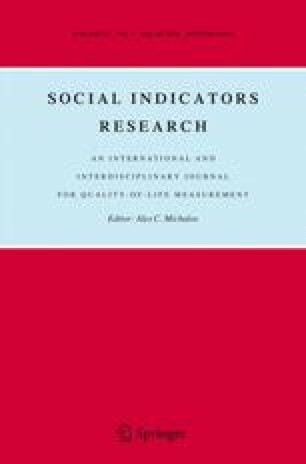 The study finds a saddle point of income parity size associated with the lowest life satisfaction, other things being equal. Furthermore, middle-income individuals have income parity size equal to or above this saddle point. They would have higher life satisfaction with increased income parity size, which therefore leads to a more enlarged income inequality. Others, however, may have higher life satisfaction with reduced income parity size. Hence, reducing income inequality would have mixed effects on people with different levels of income. The study evolves from a research project, solely funded by the Strategic Research Grant of the City University of Hong Kong (#7000902). Its principal investigator is Kwan-kwok Leung and the other research team members are Glenn Drover and Chau-kiu Cheung.